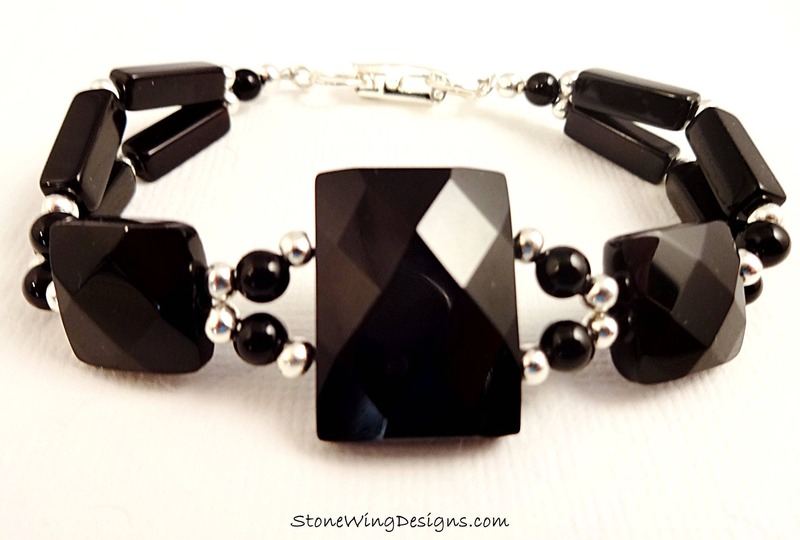 Very elegant bracelet with all Black Onyx beads and silver accents. 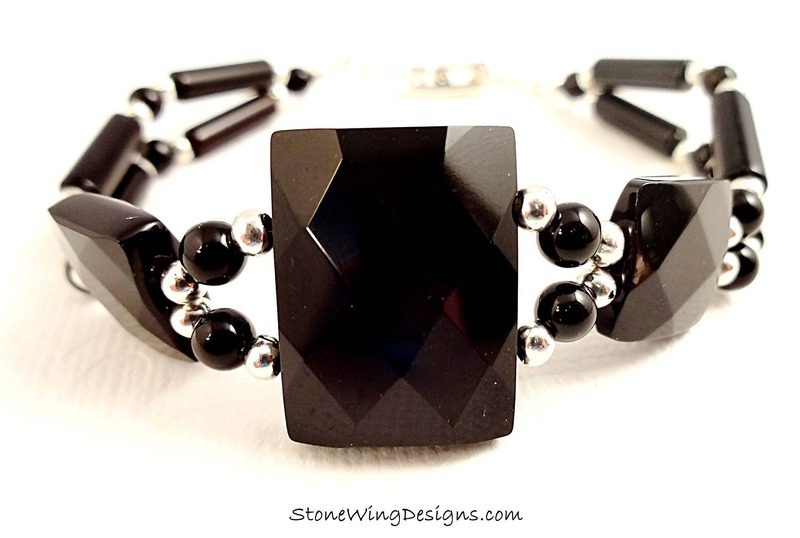 My unique two-strand construction is designed to flatter your wrist. Closure is an easy to use fold-over clasp that attaches to a large silver jump ring. 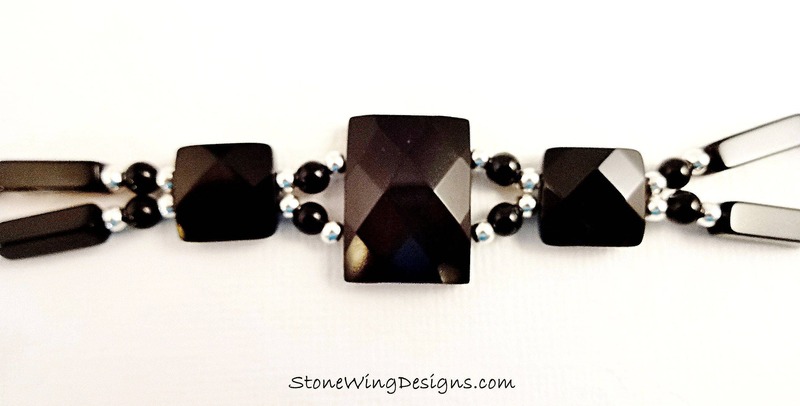 Bracelet fits a 6-1/2 to 7-inch wrist. 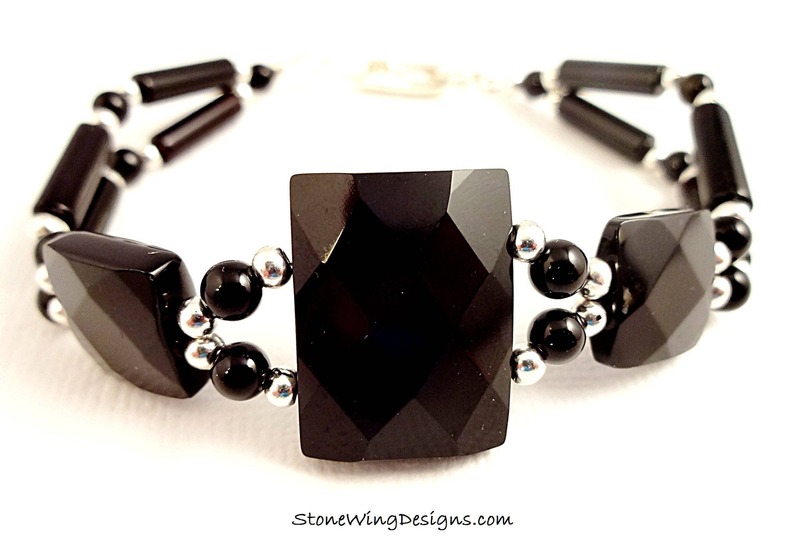 You will want to wear it a little snug; include your actual wrist size when checking out and I can make adjustments prior to shipping.